The educational Slip and Slide is what you can call the weeks between school ending for the summer and starting back in the fall. Many do not realize how big of a difference there is between a child who is engaged during the summer and a child who is left at home to their own devises. Teachers can tell the difference. According to a Huffington Post article teachers “spend three to four weeks re-teaching students course material at the beginning of the year”. This can be combated with programs like Dibia’s STEM in Sports Camps. We engage kids in education and physical activities. This year Dibia DREAM worked with two of Miami’s summer camps to effect a change in the educational and physical lives of youth locally. “We partnered with the City of Cutler Bay for the first STEM in Sports camp. Sponsored by The Children’s Trust in partnership with Carnegie Mellon and Miami Dade College, we worked with youth during the summer month to increase awareness around STEM fields,” said Brandon Okpalobi, Dibia DREAM Founder. The Cutler Bay Camp serviced 40 youth in this South Florida community. “Our goal was to combat the “Summer Education Slide” and stress the importance of health and wellness through sports,” he said. According to LaKeesha Morris-Moreau, Grants Coordinator for the Office of the Town Manager for the Town of Cutler Bay “The STEM camp is a direct result of input from the community requesting more activities for older youth that are not interested in participating in the athletic activities offered in the Town,” she said. 40 Middle School Students from Cutler Bay Middle School and surrounding high-need areas enrolled in the program. Using a combination of hands on learning and online assessments, students were able to earn badges that will lead to an Introduction to Robotics Certification from Carnegie Mellon University. At the recommendation of Carnegie Mellon, we expected youth to earn no more than two (2) out of four (4) badges in the brief six (6) week program. We were surprised to find that not only did all of the students meet or exceed the goal of earning two badges, but two students earned all of the badges and passed the challenging final exam to earn the Introduction to Robotics Certification! Dibia DREAM has partnered with Honey Shine, Inc. to provide STEM awareness for the last two years during Camp Honey Shine. The program serves 150 girls ages 8 to 18 from low-economic situations from throughout Miami-Dade County. 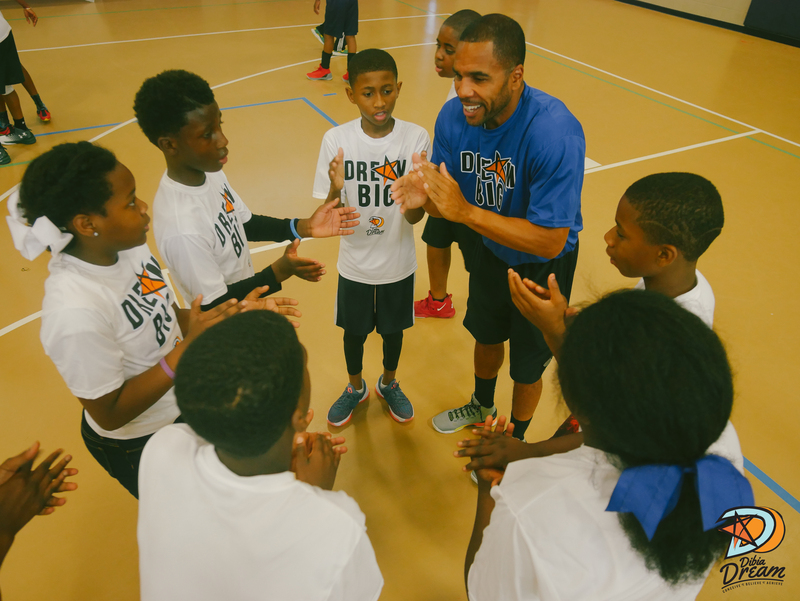 Dibia DREAM partnered with NIKE for the health and wellness portion of Camp Honey Shine bringing this program to new heights in 2017. With the combination of physical health and their academic curriculum Camp Honey Shine gives us the opportunity to touch the lives of girls that come areas like Overtown, Liberty City, Little Haiti, and Little Havana to name a few. These girls face daily challenges in their communities and Camp Honey Shine becomes a safe haven for them during the summer.